Experience the beauty of the Atchafalaya Basin — the nation’s largest river swamp, containing almost one million acres of America’s most significant bottom-land hardwoods, swamps, bayous, and backwater lakes. 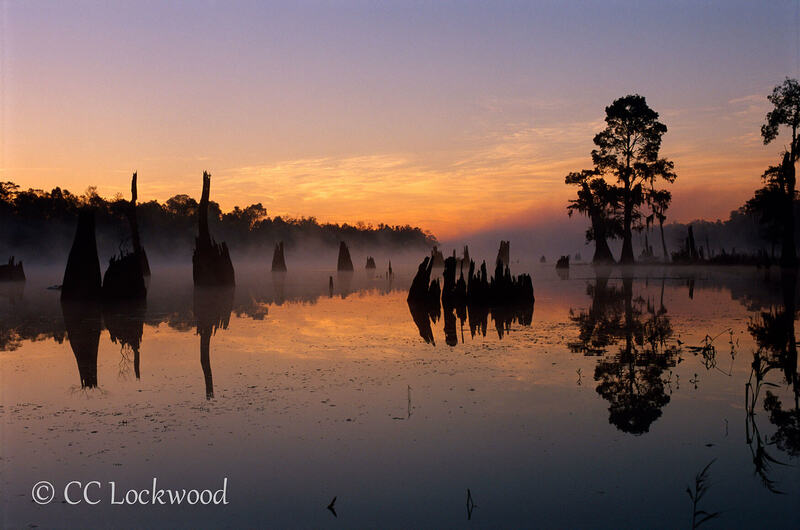 Capture stunning images of the Atchafalaya during spectacular sunrises and sunsets. Mist and/or low lying fog make for terrific images and this region is known for atmospheric images. Your guides will work hard to find ideal places to take photos. Or, feel free to explore on your own, within tour limits! Kayaking in the Atchafalaya allows you to easily glide into untouched areas of the swamp, get up close to this beautiful ecosystem, and capture images of wildlife and cypress trees. Kayaks, paddles, and life vests are provided. Power boats will take you to more distant locations for you to paddle in. Your tour guides — CC Lockwood, Doug Hansgate, and Steve Uffman — agree that our success will be measured by your success. This is our backyard where we spend a great deal of time and we want to do everything we can to help you get the most out of the tour and go home with spectacular images. That being said, however, we won’t hover over you. When we shoot these areas, we like to spread out some, look for a vision of an image, find still water, and explore the best angle of light and composition. We encourage you to do the same, but we are not so far away that we can’t give you any assistance you might want. Plus, since the tour is limited to 12 participants (four attendee to instructor ratio), you can be assured of individual attention.